If you are a OCBC cardmember, make full use of the dining privileges! 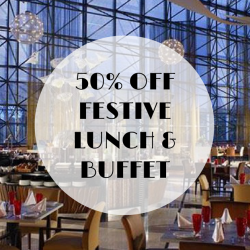 The latest promotion is a 1-for-1 buffet lunch or dinner at Swissôtel the Stamford valid till 30 April 2016! 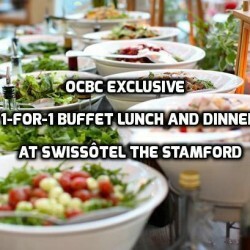 Filled with charming Swiss hospitality, Cafe Swiss at Swissôtel the Stamford serves a sumptuous buffet lunch and dinner, offering a variety of European and Asian fare. Bring your family and friends for a good meal now!